What do microchips, nail trims and potatoes have in common? Well on April 6, we are bringing them together in a big fundraiser! 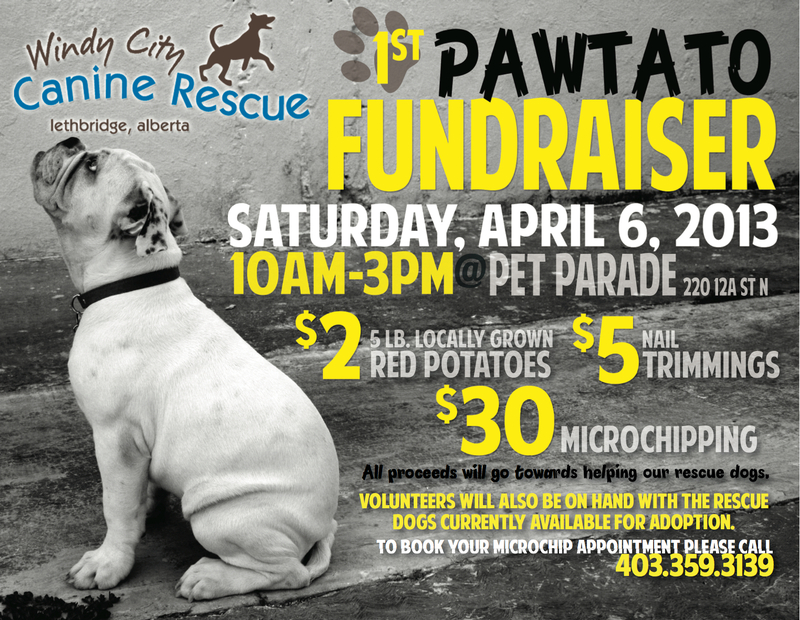 Come get your dog microchipped and pick up some locally grown spuds for dinner all at the same time! Be sure to call to book your microchipping appointment as spaces are limited!